No witty title, no goofy but well designed picture (you guys should have commented on them more!) No character headers (which I thought were pretty well done!) just a simple heartfelt apology. I’m sorry for wasting your time with this blog and its time to call it quits on Totem Tossing. But at the same time I’m thankful for the few loyal readers I did have. I won’t stop blogging I’m just shifting gears from a specialized shaman blog to a more generalized World of Warcraft blog. 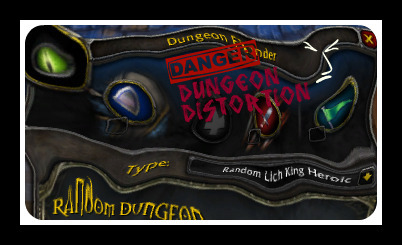 The blog already was a generalized blog with a hint of shaman seasoning but I think its time to rip out the page and start on a new one, so to speak. I had the idea to start a blog for a long time before I actually did. The reason for the delay was because I didn’t feel that I knew shamans well enough. Everytime I posted about shaman mechanics I felt I was putting my head in a guillotine just waiting until someone challenged me on something and I would have no response. Thats why it took me 5 months to post about getting totems let along make a post about leveling to 80 as a shaman. Writing is supposed to be fun and relaxing, this wasn’t either of those things. I obviously had my fun posts, like ICC: Inappropriate Collaboration of Corniness, Northrend Ho, or even the Dungeon De-humanization. 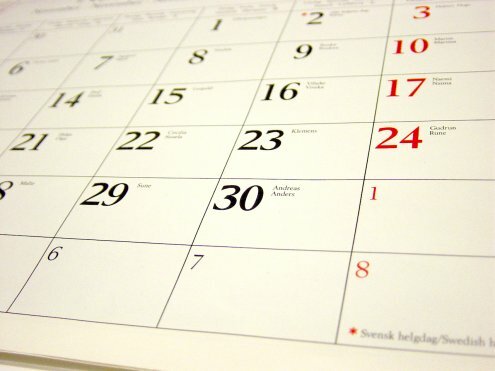 I want to post about things that come naturally, and not have to work to come up with a topic that matches the theme of my blog. And due to this problem I limited my posts to being written after I finish the gear post, or the talent post, or the patch change post. Don’t get my wrong I loved this blog, I learned a lot from it but its time to let go and start a new. I hope you will follow me to my new home soon. It should be ready fairly soon (Im going on vacation next week so possibly before that or after I’m not sure). Of one thing I am sure, the next blog will be relaxing and enjoyable to write and to read. Once again I truely am sorry for wasting your time. The quest giver is Firmavaar he is located in the structure in Ammenvale. He gives you the quest that leads to the Spirit of the Vale (A large Earth elemental), he is located North of the field where you kill the lashers. All that is required for this stage of the quest is to speak to the Spirit of the Vale. The Spirit of the Vale is located to the entrance of the vale (go figure) he tasks you with slaying four restless spirits of the Earth. Other elements will be fighting the earth elementals all you need to do is kill a few of them and talk to the Spirit of the Vale to hand it in. The Spirit of the Vale grants you an earth crystal that you bring back to Firmavaar to receive your brand new earth totem! Any shaman trainer sends you to Azurewatch’s shaman trainer, Tuluun. Tuluun of Azurewatch sends you to visit Temper (A large Fire elemental), in the Ember Glade to speak with him. Temper will send you to recover a ritual torch from the crazed wildkin inside of Stillpine Hold. Owlbeasts of Moonwing Den on Silvermyst Isle (South West of Azuremyst Isle, the island where the night elf lost his family) have created an effigy, you have to light him on fire, once you light it on fire Hauteur will appear. You must slay Hauteur and and loot his ashes and return them to Temper. Just as a note, there is an orb in the satchel Temper gave you, use it to return to him and not run all the way back like I did. Take the ashes of Hauteur from Temper and deliver them to Tuluun. Tuluun sends you to Velen in the Vault of Light on The Exodar. Velen then sends you to Nobundo in the crystal hall for your new fire totem! A shaman trainer will send you to see Nobundo. Nobundo will send you to see Aqueous at the hidden reef on the north end of Bloodmyst Isle. Aqueous requires you to acquire six foul essences which are dropped from the water elementals by the foul pool, the drop rate isn’t 100% so it might take you a while. Destroy the Barrels around the blood elf camp by the foul pool by using the pure water Aqueous gave you. This in turn will bring out Tel’athion the Impure, slay him and bring his head to Aqueous. Take the water from Aqueous and return to Nobundo and receive your new water totem! Shaman trainers will send you to Nobundo again. Nobundo will send you to speak with Velaada at Wildwind peak on Azuremyst Island. It is just around The Exodar, if you leave via the exit with the Elekk and riding trainers just continue in a count-clockwise rotation around The Exodar and eventually you will find a pathway up. Speak with Susurus at Wildwind peak on Azuremyst Isle. Speak to Nobundo and receive your new air totem! Bring 2 applications of Ritual Salve to Seer Ravenfeather in Camp Narache. They drop off of Bristleback shaman. After you have them return them to the Seer (Recommended Quests: Rite of Strength, The Battle Boars, Break Sharptusk). Bring the Rough Quartz to Seer Ravenfeather to receive your new earth totem! Bring 2 Felstalker hooves to Canage Earthcaller in the Valley of Trials. The felstalkers are in the Burning Blade coven to the north. (Recommended Quest: Vile Familiars). Find Spirit Rock and drink the Earth Sapta. Bring the Rough Quartz to Canage Eathcaller and receive your new earth totem! I suggest taking the blimp from Thunderbluff to Orgrimmar and jump off midway. This method takes you very close to the quest giver. Bring the torch of dormant flame to Telf Joolam in Durotar. Take the sapta to the top of the path and fight the flame. Bring the Torch of the Eternal flame to Kranal Fiss in the Barrens and receive your new fire totem! A shaman trainer will send you to see Islen Waterseer at The Tidus Stair, just by Ratchet. Islen Waterseer will send you to see Brine in the Southern Barrens. Brine will send you to fill the water skin she gives you at the water hole just by her house. Brine will send you to fill her water skin with the water from the well at Tarren Mill in Hillsbrad Foothills. I suggest you take the blimp from Orgrimmar to Undercity and travel through Silverpine forest till you reach Hillsbrad. But make sure you pick up the flight path to the Sepulcher. Once you fill the water skin return to Brine in the Southern Barrens. Brine will send you to fill up her water skin with the water from the well at Stardust Ruins in Ashenvale Forest. Stardust ruins are south of Astranaar. Once you have the water return to Brine. Brine will send you to Islen Waterseer at The Tidus Stair just east of Ratchet. Travel to the Sepulcher and defeat the Corrupt Manifestation of Water and place the Corrupted Manifestation’s Bracers along with the Remaining Drops of Purest Water on the Brazier of Everfount. Speak to the Minor Manifestation of Water at North Tide’s Run. Take the Shard of Pure water and return to Islen Waterseer and receive your new water totem! 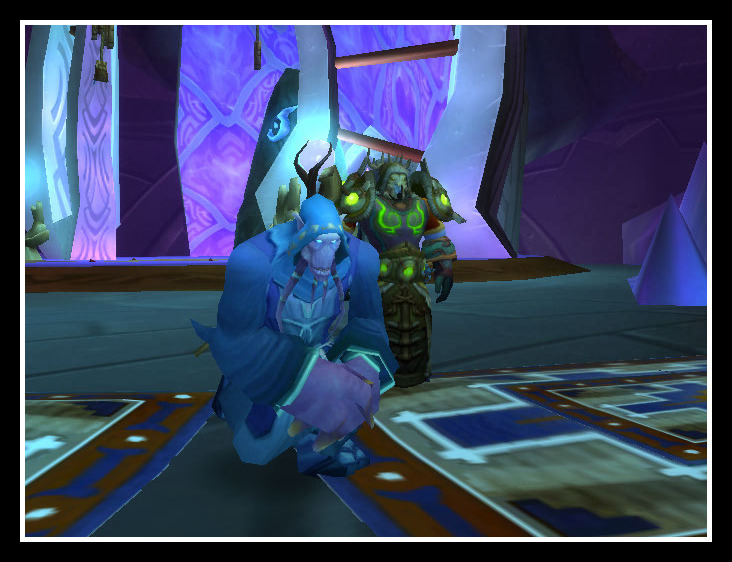 A Shaman trainer will send you to find Prate Cloudseer in the Thousand Needles. She is northeast of Freewind Post. Speak with her and receive your new air totem! In this what-up weekly post I’m going to be covering a couple of topics that have been floating around the blogsphere these past few weeks. This post will be in a Q&A type version-format thingy. The in game version: I think it’s a fine idea; I currently have 1 realID friend. I chose this option because we were friends in The Burning Crusade and we were really close but life split us apart. She went horde I stayed alliance and now we have a way to reconnect. The Forum version: I like to see the story from both perspectives and I can see Blizzards perspective of making the forums a better place by implementing real names on the forums. I also see the player’s position of the issue and I’m of the mindset that even if the realID took care of all the flaming and trolling it would cut the forum usage by an enormous amount because people don’t want people knowing their name. For example my first name is pretty common, Daniel, wouldn’t you agree? But my last name is of Polish decent so you can be sure it’s pretty uncommon as far as Smith’s, Johnson’s and Anderson’s go. I’m glad Blizzard scrapped the idea but still is committed to making the forums a better place. What is Anslym up to? Anslym currently took up his position at the Auction House trying another get rich quick scheme; you’d think he was a goblin in a past life. But he has the silly notion that he needs to be there, “you know to save up a big of coin in case of some kind of cataclysmic emergency comes up” he keeps saying. Oh he’s hanging around here and there but mostly there than here. He can be found running the daily random when someone in guild asks. She has recently turned level 65 and plans to hit 66 soon. She has currently taken up the giant task of freeing Corki from his captors in Nagrand. I have yet to receive my invite 😦 but I have been living the beta through some people. 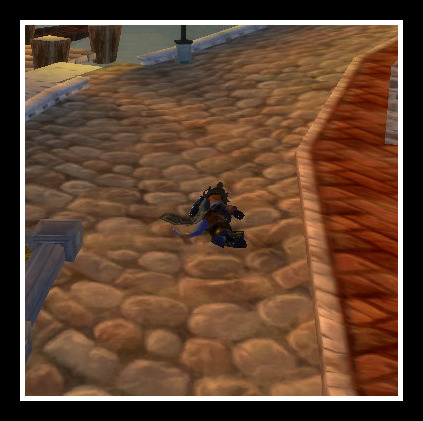 Naora from Cramming in Strudel has received an invite a she had posted here thoughts on the Worgen starting zone of Gilneas. As for the other person, Jesse Cox commonly known as: Dappersapper goblin rogue, Worgenfleamen worgen druid, or Emojomaker troll shaman. He currently takes you through the complete goblin zones. Starting in Kezan he expertly and sometimes not so expertly navigates through the streets of this goblin area picking up the guys and gals for an event that I don’t want to spoil for others. He takes you through the lost Isles helping the horde retrieve an “item” of utmost importance all the way till the goblins join the horde. As for Emojomaker, he takes you on an epic quest line through Stonetalon Mountains all the while singing “crack that whip”. Worgenfleamen helps battle back the battalions of feral worgen and forsaken alike in the ever gloomy but oh so amazing Gilneas. So if watching spoilers are your thing I encourage you to take a ride with Jesse’s videos where is commentary will induce plenty of laughter as this man “thinks up clever things to say but they only equal random nonsense” maybe this is because he is “29 years old and is at deaths door” or maybe because he has always been a little crazy since he was a “wee lad” but none-the-less I encourage you to watch these videos. His youtube channel is here. Oh and PS: all those in quotation comments aren’t me being mean those are things he has said during his videos. Whether you’re doing dungeons to farm up emblems of triumph, grabbing some emblems of frost, or maybe just tryting to get another character to 80 before the big Cataclysm hits. Either way you’re going to be running to some people whether nice or not you do have a choice in the matter, or do you? You know the kinds of people who zone into a random: immideatly pull the first group of mobs, skip all the optional bosses, and leave the instance the moment that they get their emblems. These are the people get irritated at the slightest mistake or even the tiniest mention of holding the group up to kill an optional boss for the boots you need. I like to think that they are just anally fixated, no this isn’t trade chat, according to Sigmund Freud people who are anally fixated are people are mean, grouchy, and more over unpleasant to game with. Orally fixated means they tend to verbally abuse others around them and genitally fixated means they have problems making relationships. But what does this mean for us? Well for this answer we look to Ivan Pavlov who studied classical conditioning which basically means: when we ran randoms we got unfriendly people in our groups which made us feel irritated, now when we think of randoms we get irritated even if there isn’t an anally fixated group member. I guess Psychology class really did pay off. Only words that were spoken were about the Scarlet Boots that dropped and the hunter bitched that the druid won them, druid gave them to the hunter and we continued on. They didn’t notice my level but I am a gnome which means I’m tiny? Thanks and goodbyes were said. One of the dps got requed into our group again. Be Mellow and Say Hello! Note: This does not apply to everyone; it may or may not apply to you. Side effects of using this picture may include nausea, upset stomach, headaches, spontaneous unconsciousness, and the insatiable urge to giggle like a school girl. 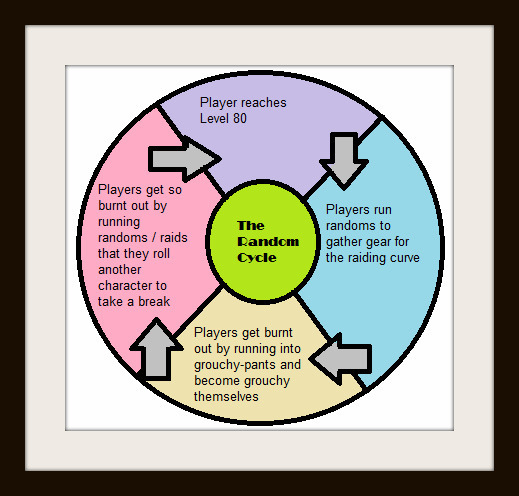 Consult your physician before gazing up The Random Cycle. ‘Bout Blogging . . .
I’m still alive, barely. I’m in the middle of exams I just wrote my biology exam this afternoon and my psychology exam is tomorrow morning. Then all I have is English on Thursday and French on Friday and I’m done for the summer. You guys should be excited for Totem tossing, a lot of big plans for this place. 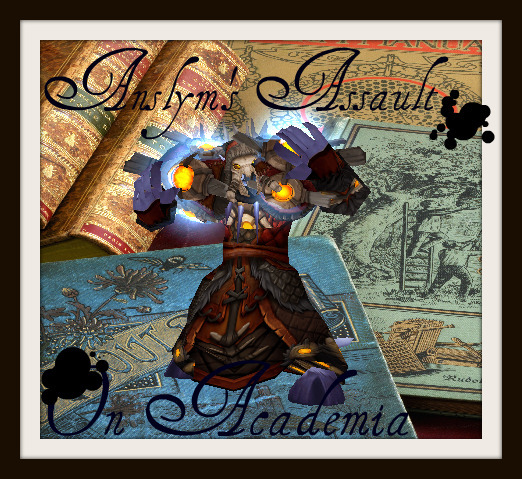 I have posts a plenty planned; talking about my adventures over at SAN, level as elemental, gearing out, a disgusting problem floating around Azeroth, and A controversial topic that shamans have been taking laying down for far too long. I finally learned how to use tags so I should be getting some traffic that way. I know, finally at long last after nearly 4 months of blogging and I only get around 30 or less views a day? @ Windsoar from Jaded Alt: I’m glad you like the header/character signature, there might be a contest or 2 coming up involving these headers. I’ve also been playing my warlock, Trynda, a lot more. She is currently at level 56 and my plan is to utilize the +10% exp buff from Midsummer fire festival to get her to 68-70 by Monday. Thanks for sticking around with Totem Tossing during this dry patch, I hope I’ve inspired you to come back for more with the posts I have planned. As always, Thank you. The sun was shining over the rooftops in Stormwind. A pleasant breeze was speeding along the streets as Aslym was finishing up his business in the shop called Alchemy Needs. He had sold quite a few herbs he had collected during his travels around Azeroth but as he was handed his sack of gold he had something weighing heavily on his mind. Northrend; the frozen roof of the world. He had been told by many times that his talents would be of better use there. He was told by some comrades, friends, even important figures like Nobundo and Prophet Velen. He found that his time could be better spent here then in the icy continent. Besides why would he follow Prophet Velen’s wishes anyway? Shaking it off he purchased some vials and began to leave the shop when he thought he heard something, a whisper if you will. Shaking that off too, he walked out of the shop into the open morning sunlight. That’s when he heard it “Northrend” the wind cried to him. “No.” Anslym replied to the spirit and continued on his way to the auction house where he was to sell some flasks. “Northrend” the wind called a little louder. “No!” Anslym cried out as he walked along the bridge to the Trade District. 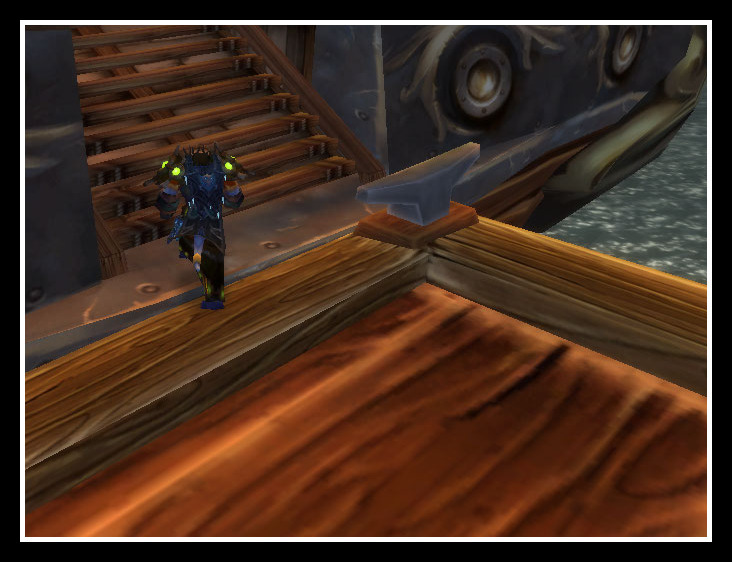 “Northrend!” the wind shrieked as a sudden gale pushed him towards the newly built Harbor. “Fine, Can I leave tomorrow? I don’t have any supplies.” Anslym tried to reason with the spirit, it was a reasonable request and at least he had agreed to even go. The wind had stopped pushing Anslym toward the harbor and allowed him to walk a few steps toward the Trade District again before it blew him back twice as strong as before. A gnome who had just turned the corner had been blown straight into the canal due to the sudden gale. “Teach me to me to tell you no,” Anslym said as he gathered himself up off the ground. Anslym could almost hear a faint chuckle in the wind before he heard the crier. “three minutes, theee minutes till Northrend!” With the clopping of his hoofs he was running toward the boat and the wind seemed to be on his side. Running passed the gnome swimming in the canal, Anslym made his way toward the harbor. His feet had just made contacted with the wooden deck before the ship pulled away from the dock, leaving nothing but waves in the cool water behind. Northrend was a might to be seen! After the temperature dropped plenty, the passengers on the ship left their cabins to see the frozen wasteland that called them all here. Anslym sighed and his breath clung to the air as he wrapped his cloak around him more tightly. A cocky paladin climbed out onto the bow and was looking into the freezing water below. In order to avoid an iceberg that was lazily floating towards them, the captain spun the wheel causing the ship to turn against a large wave that shook the boat. The paladin slid off the bow almost landing in the frigid waters below. He managed to swing an arm up and catch himself on the edge of the dock before Anslym hurried over to grab him. “Light give me strength!” the paladin yelled as Anslym began pulling him up. “Anslym we have to leave, we have to get to The Exodar, before it leaves with out us!” Rystalia cried out as she dispatched another pair of blood elves with her arcane missiles. “I know but they slaughtered out people, can’t we return the favor?” Anslym asked his fiancée as he swung his mace into the chest of another Blood Knight. “Later, Velen wants us all on The Exodar now!” She called again. “Alright lets leave then, love,” Anslym murmured, wiping gore off his mace. They snaked their way through Tempest Keep slaying any and all blood elves that obstructed their path. The smell of burnt flesh assaulted his nostrils when she ruthlessly slaughtered them. Anslym could see the hate in her eyes after they murdered her family; he was all she had left. They were just at the door to The Exodar when they heard a shriek of a little girl, they quickly double backed to find a family being attacked by a drove of blood elves. Anslym quickly asked the light for strength as he dove into the skirmish. Rystalia stayed at the door dispatching any blood elves that may have posed a threat to Anslym. 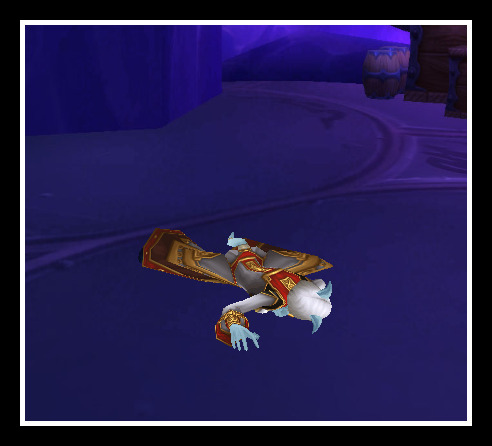 After finishing the last blood elf, Anslym turned to congratulate his love on their conquest when he saw something that would haunt him till his death. A sword protruding through the front of Rystalia’s abdomen, the coward blood elf that had stabbed her in the back ran. Anslym, slipping and sliding across the pools of blood he had created rushed over to her, ripping of his gloves getting ready to invoke the light and heal her. “Go!” he urged the family to run, “It’s going to be alright love, its going to be alright.” “Anslym go!” She choked, a thin line of blood poured from her lips. “I’ll never leave you, love,” he cooed as the invoked light his hands glowing with an effort to save her. The light failed. As soon as he began healing her wound the light dissipated from him. “Go,” She whispered. “I said I wouldn’t leave you,” Anslym said as he called the light again. This time his hands shone feebly before flicking out as he began to heal her. “It isn’t working; go before that blood elf returns with reinforcements.” “Argh!” Anslym groaned as his ripped his cloak, making a rough bandage for her. He applied pressure to her wound, warm blue blood gushed over his fingers in the effort. “Velen, I’ll get you to Velen he’ll heal you! Hold on!” Anslym put as much cloak as he could on her wound to slow down the bleeding. He hoisted her up and began dragging her down the hallways towards The Exodar, toward Velen. The door was beginning to close, sealing off the ship, readying itself for departure. “I love you,” she said one last time before she passed. “And I you,” Anslym said, closing her eyes, there was no point in fighting off the inevitable. In one last attempt Anslym tried healing her. His hands shook with the snobs that originated in his chest; thick tears fell from his eyes and landed on his hands. Where the drops splashed, the light began to grow. All the light could do for Rystalia now was to heal up her wounds, make her look unblemished. She was dead none-the-less. After the crash on Azeroth, Anslym forsake the light as the light forsake him in his time of greatest need on Tempest Keep. He sought after Farseer Nobundo to teach him the ways of the Elements. After many lessons under his teacher, Anslym first heard the whisperings on the spirits. They welcomed him, telling him that his path was always with the elements and never with the light. He was a natural Shaman, and he never felt the light again. Anslym gave one last tug, and pulled the paladin onto the deck. “By the light, praise you!” the paladin said clapping him on the shoulder. Anslym grit his teeth and rolled his eyes as the ship pulled into Valiance Keep.